When looking for the best oils for skin, knowing what skin type you have is only half the battle. It’s also really important to understand an oil’s comedogenic rating – that is, how likely it will clog pores. This time of year, the focus turns inward. Partially into our homes to decorate and warm ourselves, and partially how to keep our inner bodies healthy. The colder months typically mean worse autoimmune symptoms, more illness, and dry or problem skin. Lotions line store shelves promising to heal and moisturize skin, but they rarely work and usually contain a host of chemicals. No, thanks. You can make healing lotions and balms yourself, or buy them ready made from a trustworthy company. It’s good to also have basic oils on hand to use on your family. What are the differences between oils? 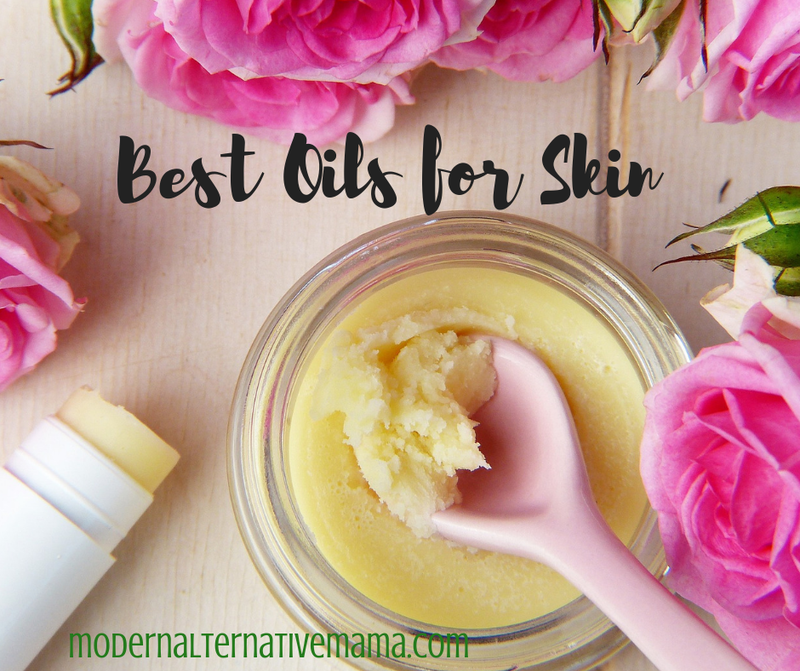 Oils may be ideal for dry skin, oily skin, acne prone skin, what’s called combination skin, or just regular, old “normal” skin. Know what skin type you have so you know what type of oil to match that. It’s really important to understand an oil’s comedogenic rating – that is, how likely it will clog pores. While there are many oils that can be nourishing, they aren’t much help if they clog your pores and cause blackheads and breakouts. We will take a look at the oils below comedogenic rating and how great they truly are for your skin. The rating ranges from 0-5. A 0 oil is unlikely to clog pores, and a 5 is very likely to clog pores. Oils under the rate of 2 are generally considered non-comedogenic and normally will not clog pores. Oils may be labeled “natural” or “pure,” but that may not mean much. Instead of relying on these labels, research how oils are retrieved from their source, if harsh chemicals are used in the process, and what process is healthiest. Fatty acids in oils do help your skin thrive. 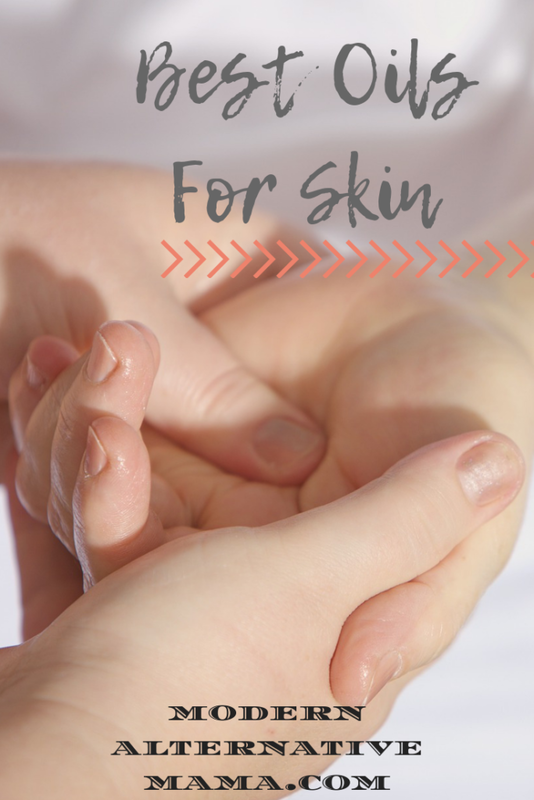 Having these helpful substances in your skin cells helps fight inflammation and bacteria, viral, and fungus from taking root. Coconut oil and shea butter are two very popular oils. Every crunchy home has a solid gallon of coconut oil at all times. And while coconut oil does have great properties, it isn’t for everyone and is by far not the only oil to know about. Coconut oil has many fatty acids, including lauric, caproic, caprylic, capric, myristic, palmitic, and stearic acid. It has high vitamin E and protein content, too. However, like jojoba oil, coconut oil sits on the surface of the skin and can lead to clogged pores and can even cause dryness. Therefore, it is often suggeted to not use coconut oil on the face. Coconut oil has comedogenic rating of 4 – meaning it most likely would clog your pores. Not exactly what I am looking for. Shea butter does penetrate the skin better than coconut oil, and has a 60% fat content. It contains vitamins A, E and F, and anti-inflammatory properties. Fatty acids in shea butter include palmitic, stearic, oleic, linoleic, and arachidic, with the majority being stearic and oleic. Unlike coconut oil butter, shea butter is usually rated on the comedogenic scale at 0-2, meaning it will not clog your pores. Normal and dry skin types benefit from shea butter. You may also have heard of jojoba oil. This oil is produced from the seed of the jojoba plant, is high in eicosenoic acid, and has a comedogenic rating of 2. In addition to the popular oils mentioned above, there are a number of lesser-known oils that deserve their place on your shelf, including apricot oil, olive oil, rosehip oil, pumpkin seed oil, and mango butter. Olive oil is likely sitting in your pantry ready to be added to bruschetta and guacamole. But did you know it has some seriously beneficial properties for skin? Olive oil has a comedogenic rating of 2, and is personally my second go-to oil for my face and body. Olive oil is great for dry and acne prone skin. It is high in oleic acid. Rosehip seed oil is great for oily and acne prone skin, and is high in linoleic acid. With a comedogenic rating of 1, you do not have to worry about it clogging your already oily skin. This oil is pressed from the roseship seed. Mango butter has high oleic and some stearic acid, and a tiny comedogenic rating of 1. Mango butter is great for most skin types, so you cannot go wrong. Mango butter is derived from the seed of the mango fruit. There are a lot of oils out there to use on your skin, and even more ingredients lurking in “natural” skincare products. Be sure to use a pure oil that’s best for your skin type, with a low comedogenic rating. What oils do you use for your skin? Have you tried any of these? You’ve missed tallow. Tallow is wonderful for the skin, and I understand it to be the best possible, as it is the closest to the cellular makeup of our skin.